The Reebok CrossFit Invitational showcases what is arguably the world’s highest level of CrossFit competition outside of the Reebok CrossFit Games. It is an annual event – this year taking place in Melbourne on Nov, 5 – that brings the highest placing Games athletes back together for another set of unknowable tests. Instead of competing individually athletes enter the competition competing on a team, alongside three of their countrymen, representing their home nations. The Invitational collection is specifically designed to spark team pride. 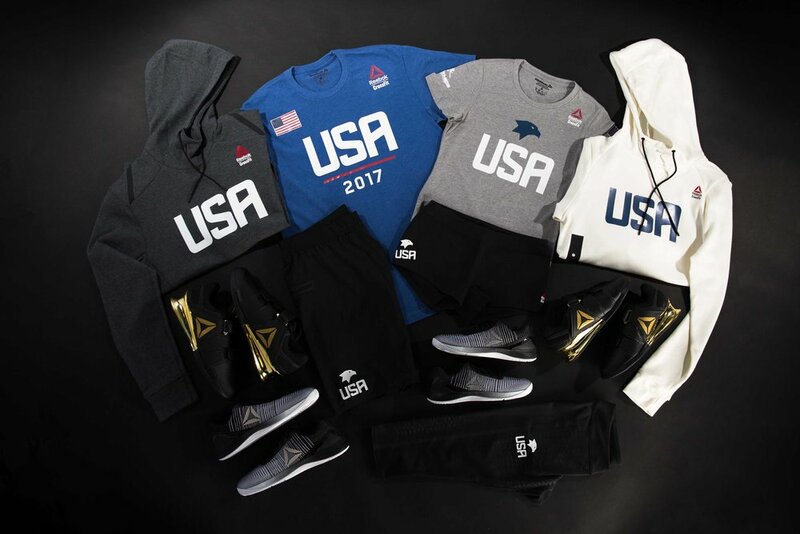 Every piece of athlete apparel has the team’s flag-inspired logo, and each team receives a different color jersey. The USA Team will wear blue, while the Canada Team wears red, the Europe Team wears black, the Pacific Team wears green. CrossFit Invitational 2017 Uniform Kit.